Stevens Precision Bushing may be positioned anywhere. 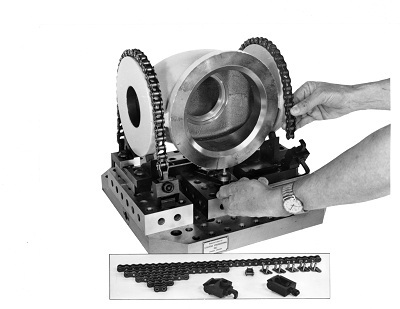 Ideal for locating parts for inspection and light machining operations. Used to establish pickup locations instead of drilling and boring construction holes. Thickness is qualified, allowing its use as a height locator as well as a bushed hole locator.